Anti-lock brakes were designed to help you control your car during adverse driving conditions. The ABS system keeps the wheels of your vehicle from locking up, preventing skids when the road is wet or icy. Prior to anti-lock brakes, a driver would have to pump the brakes manually to prevent this phenomenon. Anti-lock brakes sense when your vehicle is in a skid condition and pulse the brakes hundreds of times per minute, which is much quicker than any driver could react. Although ABS brakes also reduce the stopping distance of your vehicle, this is not the main purpose of having ABS brakes. 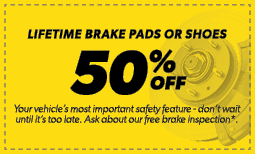 Get more information about anti-lock brakes at Meineke #1171 in Maplewood, NJ. Braking sharply is risky but at times necessary in order to avoid a road hazard. One of the major risks of braking is losing control of your car, which could lead to a major accident. The anti-lock system monitors rotational speed and performs a sophisticated algorithm of releasing and pumping the brakes that prevents wheels from locking up and lets the driver retain control. A malfunctioning ABS is particularly risky when driving on a slippery or icy surface, in bad weather or on loose material such as gravel. For best performance, be sure to get a regular ABS brake service check at Meineke #1171 in Maplewood, NJ. If you notice any of the signs of impending brake failure, do not continue to drive your car. Common signs include a lit ABS light, clicking or grinding noises while braking or a pulsation of the pedal when braking. You should also have your brakes inspected if you notice that your car is taking longer to come to a stop or pulls to one side when braking. Other red flags include increased drag when accelerating or lack of resistance when pressing on the brake pedal. 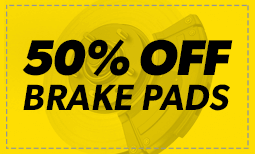 For ABS brake service and all types of brake repairs, visit Meineke #1171 in Maplewood, NJ. Should You Ignore Your Anti-Lock Service Light? It might seem strange that your regular brakes work properly even though the ABS brake light is on. This is no reason to ignore the light, because the anti-lock brakes prevent hydroplaning or skidding in adverse weather conditions. The ABS brakes give you more traction when you’re on a slick surface. The new technology of braking gives you even more control over your car, even if you start to slide. Bring your vehicle to Meineke #1171 in Maplewood, NJ for ABS brake service to keep you and your passengers safe under any type of driving conditions. 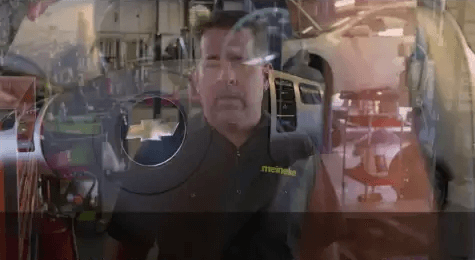 If you are accustomed to bringing your vehicle in to Meineke #1171 in Maplewood, NJ, for routine inspection of your anti-lock brakes, you already know that this represents big cost savings. You might need a minor part or some brake fluid added to the system, and this kind of service can be done quickly and inexpensively. If, however, you have worn brake pads, replacement will be required and you should have that done as soon as possible. Brakes of any kind are designed to wear out, and brake pads are only one component that might need replacing. We will assess any brake problems you’re having and recommend the most appropriate solution. Scheduling an inspection for your anti-lock brakes at regular intervals is the best way to keep repair costs from mounting. Remember that service may be as simple as adding brake fluid, a component that costs just a few dollars. Silicon brake fluid and mineral brake fluid are widely available, and they may be among the products used by Meineke #1171 in Maplewood, NJ, when you come in for ABS brake service. The specialists here can diagnose any brake problems you might be having and resolve the issues promptly in order to save you greater expense down the road.